Visit www.genwhymovie.com for more info. — it's easy and safe! To send donation by a check please visit donate page. The Generation Why? : Project is our new program dedicated to creating effective change among homeless youth in America. The Generation Why? 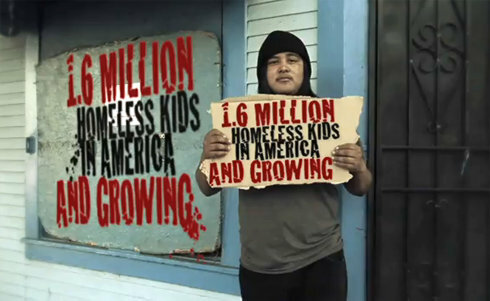 : Project is an organization dedicated to creating effective change among homeless youth in America. We recognize that the early development of our kids is crucial to their success in life; especially those who are underprivileged. The Generation Why? : Project will assist our youth with housing, education, health care, job training, counseling, music, art, and give them what they need most, support. While there are many organizations helping homeless youth in America, there needs to be more support and activism on behalf of us, the citizens. The Generation Why? : Project will collaborate with the other effective non-profits and philanthropic organizations to create the most change possible. The Generation Why? : Project was created in unison with the documentary, Generation Why? The documentary is part of the foundation's awareness campaign. The film will not only inform and educate all Americans about the issues facing our youth, but it will inspire them to care and ACT. We will use the influence of the film to create strategic alliances with non-profits, companies, educators, physicians, athletes, artists, and anyone else interested in contributing to our efforts. The Generation Why? : Project stands by the notion that ALL kids have unlimited potential and it is our job to give them the opportunity to flourish.